7 min. Many experts saw the 2016 rollout of Part 107 from the FAA as a watershed moment for the commercial drone industry as a whole. For a long time, organizations of all sizes stayed awayfrom fully exploring UAV technology because of the hurdles and uncertainty associated with securing a Section 333 Exemption. 3 min. 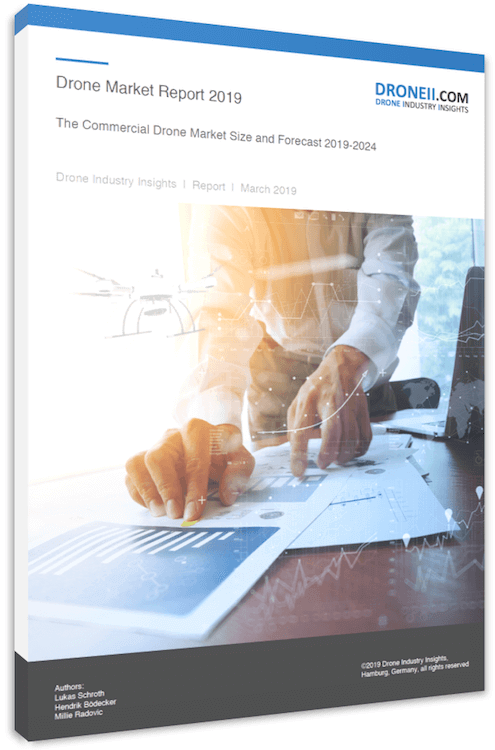 The drone market today can be described as a melting pot of different technologies, where combinations of hard- and software components and service features are provided to the end user. In order to create sustainable success in this extremely fast moving market it is essential to maintain strategic partnerships or invest in a solid UAV portfolio. 3 min. Small UAVs, as compared to manned aircraft, convince through their ability to fly very slowly and at lower altitudes. This way, more detailed and valuable information can be obtained. UAVs close the gap (between ground- and aircraft/satellite-based methods) through their ability to fly at low altitudes (up to 100m), which cannot be covered by the alternatives mentioned previously. 5 min. Old and new leader of the drone company ranking is DJI (▷1). The Chinese platform manufacturer remains expanding both company portfolio and market presence. Toy manufacturer Parrot (▷2) defends rank two with solid distance to the newcomer Xiaomi on rank three. 3 min. Last year we published the initial Drone Market Environment Map and it was so successful that we updated and enlarged it to visualize the current evolutionary stage. This map provides the most comprehensive picture of the global drone ecosystem, making the drone market more transparent and accessible for prospective customer, investors and newbies. 4 min. Everyone is doing something with drones today. If you want to check out what could be in it for you, this article is a must-have! Here you will find what’s happening today, what’s out there, what’s necessary and last but not least, what’s possible. 4 min. There is a new leader of the TOP20 Drone Company Ranking – DJI (△+1) is in the lead with narrow margin to Parrot (▽-1). The eternal battle of the two giants for the first time turned towards the Chinese drone manufacturer. 4 min. Although the commercial unmanned aviation industry is still in its infant days, the market already presented a diverse range of fantastic hardware, software and operational products. These prerequisites connected, especially in the last two years’, many accelerator, early stage and also later stage investment companies with the market. 3 min. Let’s summarize the companies that entered into partnerships in the drone industry last year. What is obvious is that in recent times a great deal of strategic decisions has dramatically increased the rate of partnerships either to broaden the portfolios, to occupy a niche, or to secure a position before a competitor does. 3 min. Besides several startups, a few operator firms came up with innovative concepts that seem to pay off. Between 2012 and 2014, $6.3 million were invested into professional operator companies. In 2015, the number increased by 700% to $44.3 million.